This has been a tough week by any measure, and I'd hoped to address my sleep debt by getting eight full hours last night. I didn't quite make that, but I did manage seven. Even so, I still felt a little off this morning. I was glad this wasn't my half marathon weekend because it wouldn't have gone well. My plan was to run 12 miles today. Over the past six weeks I've done base training at Bethpage on Saturdays, going from 7 to 11 miles by adding a mile every week. Last weekend I broke that cycle, because I was resting on Saturday for Sunday's 5K race. With only two weekends left to train for the LI Half, I knew I needed to go out for long run today. Sunday is likely to be a washout with heavy rains expected. I had a late morning appointment so I tried to get out early, but I didn't quite succeed. I determined that I'd run out of time if I stuck to my original plan, so I cut my distance goal to 9 miles. I had bought some Gatorade G Series Prime Fuel, it's sort of like a gel in liquid form, and added it to the water in my Amphipod hand bottle. I wanted to test that combination for use during the half. I dressed lightly for the low-50's temperatures, but I should have worn an even lighter top layer because it was HUMID. Almost immediately after I started my run, I noticed that the hand bottle was leaking and sploshing red-tinted liquid all over my hand. I had wrapped a paper towel around the bottle for insulation and dryness but that quickly soaked through. I wasn't even a half mile into my run when I decided to dump some of the contents to minimize the spillage. I wore my Brooks Adrenaline to help prevent further aggravation to the sole of my left foot. Prior to putting on my sock, I had rubbed some capzasin cream onto the area that has been giving me trouble. I don't think it did much to help, but it didn't hurt to try. By the time I finished mile one I knew that my foot wouldn't be my biggest problem on the run. There were many runners, mostly in pairs or groups, along the trail today. Almost everyone greeted me as we passed. I had hoped that all my base running and recent speed focus would make today's run easier, but I really struggled throughout most of the way through. By the time I reached the steep incline leading over the Southern State, I was concerned about having the strength to complete the entire out-and-back. I only went .75 miles into the Massepequa Preserve before turning back and facing the climb over the parkway from the other direction. Once I came down I knew I had less than 4 miles to go, but I knew the last two miles would be very difficult. 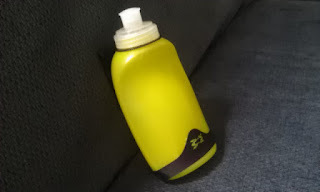 By the time I was ready to drink from my bottle I saw that there was nothing left to drink. This was a disappointment and the lack of hydration, combined with glycogen and electrolyte depletion, made me grateful that I didn't attempt the full 12 miles, as originally planned. I ran the first half of today's run a minute per mile faster than the second half. The humidity didn't help an already tough situation. As I slogged through the last two hills, I kept visualizing the final downhill section that would lead me to my car. Nine miles this morning was far tougher than the eleven that I ran two weeks ago. Due to the Amphipod's failure, I wasn't able to assess the effectiveness of the G Series Prime Fuel as a supplement to my water supply. Worse, I am now without a useable water bottle for the race. I hope to find something this week that I can test next weekend. I'm traveling next week so I'm not sure when I can do that. 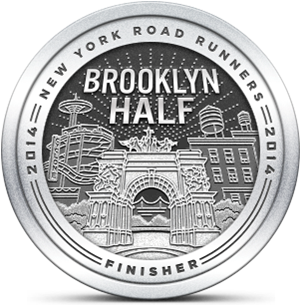 One more week to train and then it's time to run the LI Half once again. At least I've trained hard for it, so far.